I love the tie into the different moons that binds the parts of this essay together. It makes me want to look into the moon cycles of different cultures to see how they tie into my life. I really like the photo of Moon Over Harrisburg. In my photography I always try to keep modernization out of the picture (things like power lines, signs, cars, et al) but the phone lines in this picture add depth and some mystery to the photo. I want to meditate on the content before commenting on it because I am too close to the situation at this time. QM, what an insightful post. That moon was so beautiful that I almost called you late at night to grab your camera, but didn’t. As J was in the hands of the staff in the ICU, I took a midnight drive to get my Starbuck’s favorite cold drink. On the way home, I stopped down the road from our home & just absorbed the beauty. It was a rewarding experience. I could not obserse it from the house due to the numerous trees that blocked my view. An update on J. Stan, his Physical Therapist, came to our home this morning & was very impressed with the improvements made since last Thursday. Tomorrow, the Occupational Therapist will make his first visit. Daddy will be heading out tomorrow, content, knowing that we can handle it from here.J. & I are strong. Our deep love of each other forges us forward. And yes, death is inevitable for all of us. As far as my own personal life, do I have any regrets about the past or present? Of course I do, but I realize that I can do nothing about the past, aside from accepting it for what it was. Can I change the present? Perhaps, but I am who I am & people can accept that for what it is worth. I continue to be honest & because of that I can live with my own faults, knowing I have hidden nothing from anyone. To do the opposite would be cheating myself ,family,& friends of who I truly am. I am me, flaws & all. I have to agree with R3 — the power lines not only add depth; they add metaphor to your text, the idea of lines connecting, intersecting, yet being their own lines. I see it like family members, in and out, together and alone, many different directions but somehow very much all the same. As you know, I find it difficult to post writing that goes deep into my personal life, and yet I am compelled to do it again and again. In this writing of yours, I feel a sadness and a coming to terms. It reminds me a bit of the letdown after a huge event, how life seems to be almost suspended when the event is happening and then how you almost come falling to earth once the event is over. I’m struck by how much fortitude it takes to write memoir, and prepare to write memoir. How wrenching it must be, and how joyous and precious. Mostly I appreciate that you trust to give us–your friends, family, and other readers–insight into all of you, not just the singing-zany-considerate-upbeat you (which you still are) but also the contemplative-melancholy-seeker you. i’m on my way out the door, and i have so much more to say to say than this…i had chills when i read so many of the lines you wrote in this piece. more later when i’m not so rushed. Your words give me the courage to write my own story, the parts I shy away from. What you say about family resonates with me, especially about how each member shows up in the way she can. I like that. It’s non-judgmental, no shoulds involved. And the nicest treat are the different moons woven throughout, like signposts on your journey. QM, a beautiful, deep and thoughtful piece of writing. I envy you that you have a net of family in which to fall. With the death of my mother, I realized that my family of origin net was gone for the most part, scattered across the country in many different places, states of mind, and worlds. I am still sitting with that realization. My family is gone. “But, Mom, you still have Lenda and me,” I protested. “You won’t understand until your sister and I are gone. Then you will feel alone.” She warned me, but I thought she was being overly dramatic. She wasn’t. R3, I really appreciate that you commented on this post. And I understand needing to meditate on the content. I was hoping you’d see the shot of the almost full moon over Pennsylvania. Do you remember when I shot it? It was the night of your son’s birthday and Mom and I were about to leave. 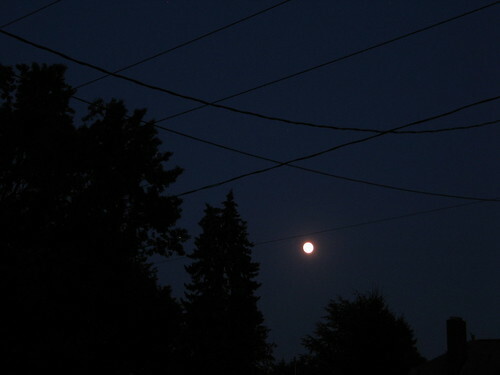 The moon was rising over the trees and a few power lines were between us and the moon. I pointed the rising moon out and you brought your new camera over; we both stood there taking photographs of the moon rising over summer. I loved that night with the family and was so glad I had gone. It was after you and Mom and E. Elise picked me up from Philly. We played softball and I couldn’t believe how out of shape I was. It was hot but cool inside. A really nice evening. Being a Cancer, the moon is my planet and I’ve very attuned to her energies. Inside/outside. I’m glad the power lines came through on the computer screen because I noticed on some older screens, it looks like the shot is only of the moon. There are subtle shades of black and gray that make this shot work. I was hoping people would be able to see them. diddy, I remember you talking about the full moon with Mom and I on one of our drives to the hospital. And I remembered the same powerful moon the night before. It had woken me up out of a dead sleep, and poured through the windows of my childhood room. It was almost surreal to be back in the home I spent my teenage years in, sleeping and living for a while. I had powerful dreams that week. It felt like I was walking between worlds. I would wake up often in the night and not quite be sure where I was. I’m sure I was doing a lot of processing in my sleep of everything that was going on. I know there were nights when you and Mom couldn’t sleep either. We were all exhausted. When I talked to J. day before yesterday, he sounded so much stronger. Especially his voice. And he was joking and laughing, too. He mentioned the swelling had gone down and the redness was better. I am grateful that things are going better for both of you. And I was amazed at the outpouring of support from family and friends, in every way possible. We are so lucky to have that. And I was especially in tune with Mom and Daddy and R3 and how they never wavered, just kept showing up no matter what. And I knew in that moment that they would be there for me, too, if I ever needed it. Once when I told Daddy how grateful I was that he was heading back to Pennsylvania from Georgia, he said, “And if it was you, I’d be in Minneapolis, too.” I almost did a double take. I feel so lucky to have that kind of support. ybonesy, thank you for your kind words. You take emotional risks in your blog writing and it helps give me the strength to do the same. I wasn’t going to publish this piece and it reallly helped to have a back and forth with you about it. In my Writing Practice, I let it all out. But in a venue as public as the Internet, and when writing about family members, people who are still alive, it’s a whole other story. The Internet is much different to me than writing for a book, too. It is immediate. And you are reading people’s responses in real time. Totally different ball game. You inspire me. And the pieces you wrote on anxiety and about your mother’s flowers took courage. I’m glad we are in this together. And that we can keep coming back to our mission and vision for red Ravine and to our practices to keep us strong. There was something you said at the end of your comment — about me trusting you and everyone out there. I hadn’t thought of it that way, but it’s true. 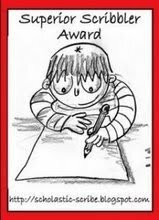 There is a real trust that develops between our intentions with the writing, and the audience, the readers. And it’s a mutual and respectful trust. I am in general probably more introspective and melancholy than I am upbeat so it’s good that I get to show that side of me. It helps me to keep holding everything. christine, thank you for saying that. I am more surprised each day at the courage it takes to write non-fiction. There are moments when I feel judgmental and have to process through all that to a place of more acceptance. It is hard being so far away from family and sometimes I feel like, who am I to give my opinions on things when I don’t live the day-to-day there. But I have come to see that my thoughts and opinions matter, too. And that distance affords me a different perspective. It’s kind of a double-edged sword. The woven in moons, that happened in the Writing Practice. It just came out that way, the Muse. This piece pretty much came out as a Practice. I didn’t make many changes. It’s very different from my usual writing in that it doesn’t have as many details of what’s around me. I think my subconscious put the many different names for the July moon in to anchor me and anchor the writing. I guess that and the moon and power lines hold it all together. I always appreciate your thoughtful comments. Bob, I’m really glad you wrote your comment. Because I was extremely aware this trip of the value of the family net; I saw it in action. The way people also talked to each other, processed everything — and also the times where I needed to just sit in silence, or Mom and I would be silent on the drive home from the hospital. There was a mutual respect between us that we just needed some quiet time to be sad or reflective. But there is another point that you bring up that I didn’t touch on in this piece — how mothers are often the glue of a family. I was talking to my brother R3 about that on the phone this week. There were two phases to this trip for me — the Pennsylvania trip and the trip South. Mom was exhausted and not feeling well for part of the trip in the South. And there was a moment after a conversation with her when we were walking down the hill from my grandmother’s grave when I just burst into tears; Mom held me while I cried. It hit me hard — the strong realization that she will someday pass, too. And she’s the glue between family and extended family. She’s the connection to the Southern history. She’s the connection between all of us siblings that are scattered throughout. And like you said, we will all still have each other. But it won’t be the same. This is a whole other story, probably a chapter in my book. But I wanted to show empathy for your loss and grief. I don’t know it wholeheartedly yet. But I have tasted the loss. And I’m so grateful for the time I do have with my mother and the rest of the family. QM, You are never too far away from our love for you. You said exactly the right things to me, especially when I was feeling very very down on myself. Afraid that I was letting others down. There were many times that I cried in silence, but your kind words, which I know came from your heart, turned me in a more positive direction. Thank-you for that. The first time we went down south, I knew I felt a strong connection to you. I too was the only person in my own family to move away. I know the feelings that you have expressed oh so well. Thanks for the kind words, diddy. I hope the net keeps opening and I can continue to express all the different feelings I am having. I know in the end, the hard things we are all expressing and feeling at this time come from a place of love. Love takes many forms. There are so many different kinds of love. Oh, Scaramastra, thanks for stopping by yesterday. Looking forward to more of your thoughts as you are able. I loved this QM. So many layers to the journey you’ve bravely committed yourself to in order to write your memoir. You sound bigger, quieter, steadier, nourished by what you’re learning, diminished too – made smaller by the presence of so many years, so many lives. Smaller in good way. Solid. Humble. Grounded. I agree that memoir is a tough project. There are times I wish I’d never taken on my own memoir. I’m working on the book proposal now and it’s almost the hardest part. Working with a publishing consultant who is smart and supportive but…new. It feels like I’ve invited someone inside my chest to poke around at my ribs. I hope I develop some callouses in there before I send the manuscript out. I sense a similar tenderness, rawness, where you are with your memoir, even though we are at different stages. Thank you for sharing your warmly connected family with us as you have in this essay and the posts that follow. As a mom, I find myself wishing my daughter might some day do a similar trip with me. What a gift you give your mother by doing this – and what a gift she gives in return. Jude, what a warm and thoughtful comment. Thank you for your gentleness. I have indeed been feeling pretty raw since I got back in town. A whole combination of things. And thoughts rolling through my head like – why in the world did I think I could tackle memoir? Lots of Monkey Mind and insecurity. At the same time, I feel like I have so much to say and so much I want to write about. I think my head might explode. I also had not thought of it that way — what you mention in the last few lines. I have a lot of gratitude for everything my mother has given me around my writing: her family tree work, her trips South with me, her time, her memories. But I had not thought of it in the way that I am giving her a gift, too. How lovely of you to say. It’s so exciting that you are writing your book proposal, too. It does seem like a new kind of toughening that has to happen. You are showing great courage, too. It gives me hope for when I am at that stage — that there are other writers, friends who have gone through it and can guide me. Thanks for your kindness, Jude.